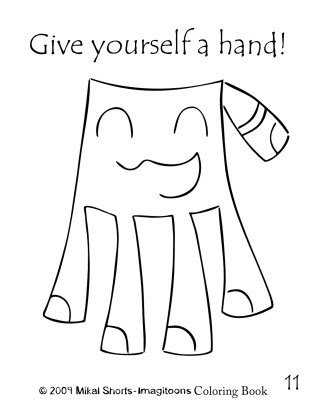 Imagitoons Design: Give yourself a hand! Further proof that the Imagitoons coloring book is coming along! I got the rest of the pages drawn up over Spring break, now I just have to fix them up and put them in coloring book form! My aim is to have it done by the end of the month...but no promises! Enjoy!